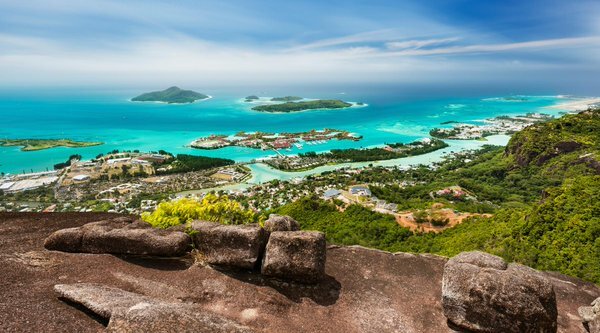 10 Breathtaking Countries Where Indians Are Granted Visa-on-Arrival! Have you ever thought about just hopping on a plane and visiting a foreign country without dabbling in visa procedures? If you have, then just do it! For Indian passport holders have the privilege of travelling to 58 countries without prior application of visa, with either no visa required or visa issued on arrival. According to the Passport Index results, in a list of 193 countries and 6 other territories, Indian passport ranks 59th along with that of Georgia. Passport Power is a representation of the number of countries that we can travel without a visa or where we get visa-on-arrival. The list has the USA and the UK in the first position with the provision of being able to travel to 147 countries without a visa. Here is a list of 10 vivid and scenic countries that give visa-on-arrival for Indian citizens! Cambodia gives visa-on-arrival for 30 days by paying visa fees of US$ 30 provided we have a passport size photograph, and enough funds to take care of our stay in Cambodia. Also, make sure that you carry your travel documents, visa and confirmed flight tickets. Your passport should be at least valid for 4 months from the date of arrival. 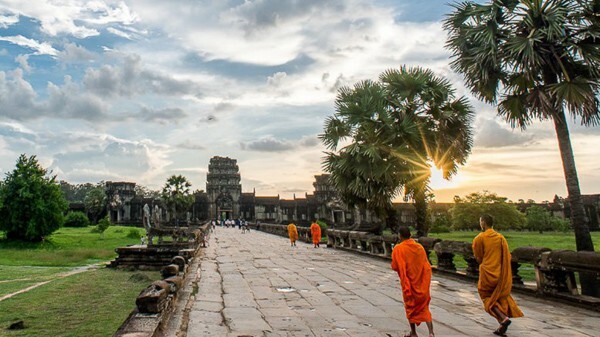 Angkor Wat is a must visit place even if you are not much of historic person. It surely is a delight to the eyes. Don’t miss the Cambodian Amok too, it is a famous Cambodian dish. Indians get 2 weeks visa on arrival at Jordan by paying visa fees of US$ 30 approximately. You need to carry sufficient money for your expenses in Jordan. If you exit Jordan from Aqaba, along the sides of Red Sea, you get a free visa for 1 month. 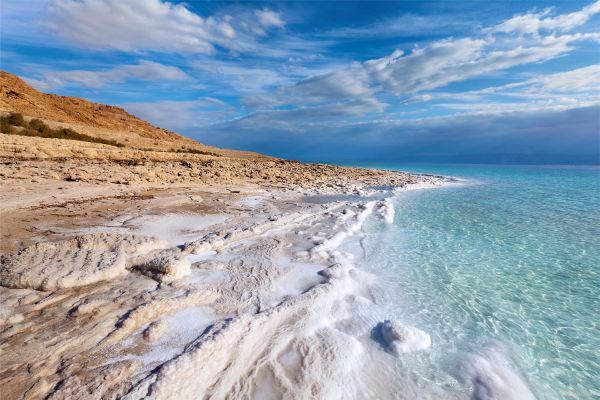 Floating in the Dead Sea is one of the awesome experiences in Jordan. Talking about their cuisine: Hummus, falafel and shawarma are a must try. Visa-on-arrival for 90 days is issued for the Indian passport holders once they show their source of funding for their expenses in Kenya. The passport and confirmed ticket for the onward or return travel should be available with the tourists. 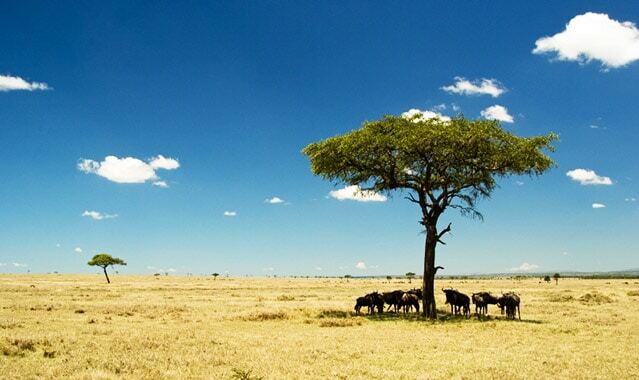 Masai Mara gives us a wonderful experience of the wildlife safari. A day long hot air balloon safari is another experience that should not be missed. Maldives provide visa-on-arrival for 90 days, without any visa fees. Generally, a hotel stay will cost about $30 per day. The tickets for the next destination or return trip should be there with the tourists.Maldives is famous for its amazing diving and snorkeling activities. Make sure to carry a waterproof camera to capture the exotic species of the sea. Indians get visa-on-arrival for 150 days in Nepal. You need to have a proof of your nationality such as driving license or passport with photo. 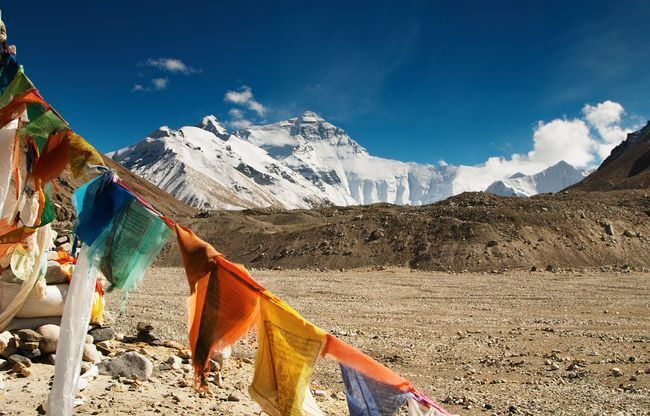 Lumbini, the birthplace of Gautama Buddha is a place of historic value and Mount Everest, Earth’s highest mountain is in Nepal, so why don’t you pay a visit to it! Once you have a hotel booking confirmation, you get 60 days of visa-on-arrival in Mauritius. The tourist also should have a sponsorship letter, return ticket and sufficient funds for their expenses in Mauritius. 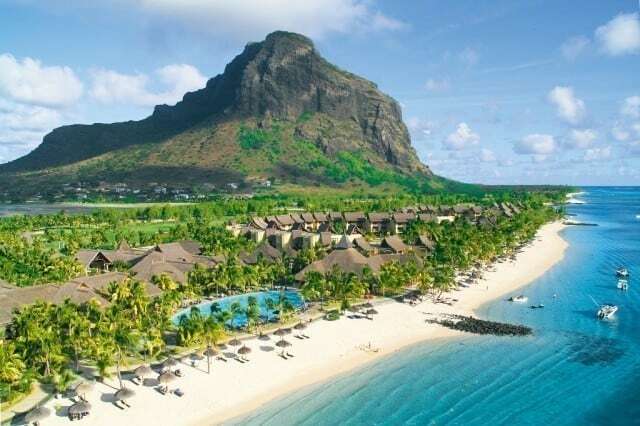 The best time to travel to Mauritius is May-December. The must visit places include the Chamarel Colored Earth, the seven colored earth, which is a natural phenomenon. Indians get a visa on arrival for US$35 for almost 15 days. It can be extended to 30 days if necessary. They should have a return or onward flight ticket and around 10,000 bahts per person for their expenses in Thailand. 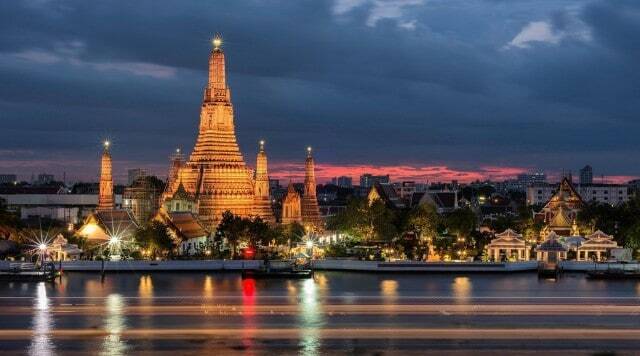 The must visit places in Thailand includes the Wat Pho Temple and Baiyoke Sky Tower in Bangkok and the Phi Phi islands in Phuket. Located off the coast of East Africa, Seychelles can be spotted as a dot in the Indian Ocean on a map. A visa-on-arrival for 30 days is given free of charge to the Indians provided the tourists have a confirmed onward or return ticket, sufficient source of funding and proof of their accommodation. Seychelles has the largest population of the giant tortoises and beautiful beaches. Macau, the Mecca for shopaholics, offers Indian visitors visa-on-arrival for 30 days of stay. The visa is free of cost and will be given on providing sufficient funds for the stay and the necessary travel documents like the confirmed ticket for the return or onward travel. 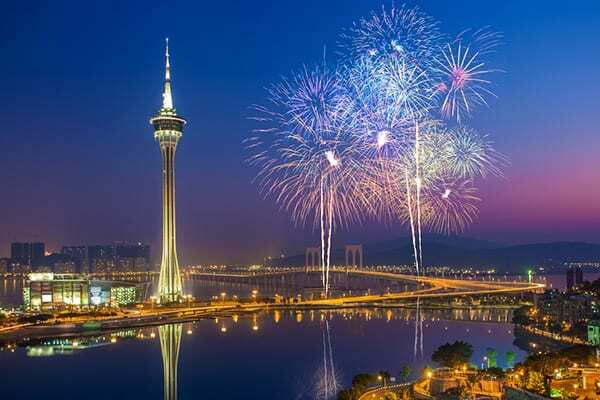 Macau is also known as the Vegas of the East and has a lot of casinos and gambling hubs. To explore the calmer side of Macau, visit the Barra square, one of the most lovely beaches there. Samoa Islands are an archipelago covering 3,030 square Kilometers in the Pacific Ocean forming part of Polynesia and the wider region of Oceania. Visa on arrival for Indians going to Samoa is valid for 60 days max. You need to have a return ticket and proof of funds to cover your trip expenses. 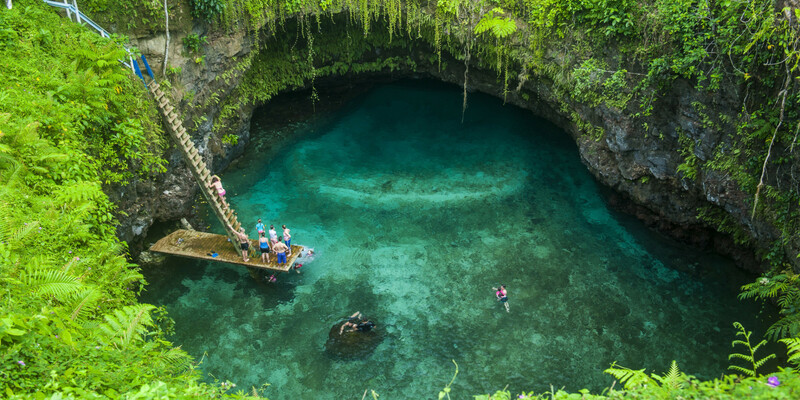 Enjoy the beautiful coral reef beaches and do check out the magical To Sua Trench which literally means the “the big hole”, for swimming in the best pool that mother nature can provide. You can find out the complete list of the countries where Indian passport holders get visa on arrival, here.